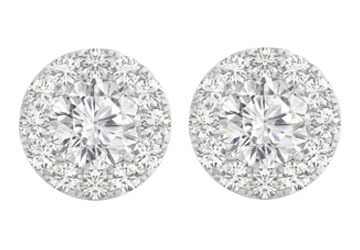 Look great everyday with CZs halo studs in 14k white gold with push back. Round sparkling cubic zirconia at the center is haloed by smaller CZs all around.Halo stud which is sure to lift your mood with its radiance. CZ April birthstone. 3.00 CT TGW.